It’s a pleasure to announce the availability for next-generation Windows VPS at Sydney (Australia) location. Choosing the nearest located datacenter based VPS is always better to start for website hosting. That means reduced time latency for your nearest geolocation based customer. The closer the server is to the site, the faster the site loads. The site visitors will have better user experience with the faster websites, and that can have a major positive impact on your search ranking. 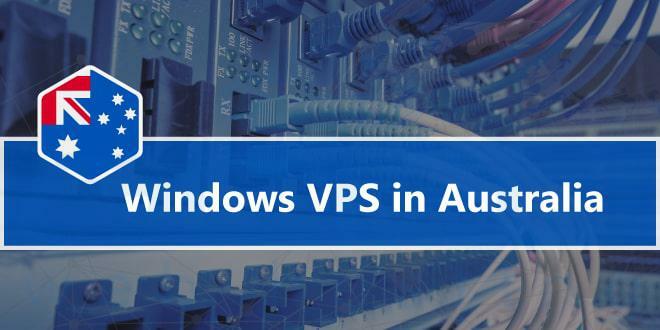 Our Windows VPS Australia plans for a location (Sydney, Australia) is available in four different variants. Our Classic Windows VPS plans are low-cost Windows VPS. Our basic low-cost plan for Sydney location – Classic VPS plan starts with USD $19.19/month. Our SSD plan is most popular among customers. The base plan of our Sydney location based VPS starts at USD $18.00/month. We do also provide a fully managed service inclusive in its prices. If you are in Forex trading business and you are nearest to Sydney location than our any other location then choosing Forex VPS of Sydney location will boost your performance more than ever. Our basic plan of Forex VPS for Sydney location starts with USD $19.19/month. For automate the provisioning of web hosting, we offer SolidCP / Plesk control panel to manage your users and mailboxes, host unlimited domains, and more – all from a single interface! The SolidCP and Plesk platforms both support reseller hosting. We can configure your MSSQL Server Express edition – 2017/2016/2014/2012/2008, as well as your MySQL database, at no additional cost. If you want any software or application to be pre-installed on your VPS, please suggest them during your order. The applications mentioned in your order will be installed while preparing your VPS. We offer a paid CDP backup service, it is safeguarded against data loss. Under this paid contract, your storage will be backed up daily on an efficient progressive Incremental basis. This service includes unlimited restores, at any time during your service period. Initial cost for 20GB backup storage is $10 per month. We offer hassle-free first 7 days money back guarantee on our all VPS hosting plans. All our classic and cloud hosting plans are covered by our Self-managed option. For those interested in more hands-on technical assistance, our Fully Managed Support packages start with USD $12.97/month. SmarterBundle Pro (worth $800) is a bundle of three products (Mail Server, Support Helpdesk & Statistics) from Smarter Tools, INC. AccuWeb Hosting is a bundle partner and offers this product at no additional cost. We will install and set up the latest version of SmarterBundle Pro Edition supported by SolidCP/Plesk platforms. These are fixed resource at fixed cost plans. Though you can upgrade your plan to the next available, we do not offer addition of custom resources like additional 1 GB RAM, 1 vCPU, additional 10GB disk storage. You can upgrade to the next level plan only. For example, Classic Opal to Classic Pearl plan. Due to technical limitations, the plans cannot be downgraded. Jason is CTO at AccuWebHosting.com. He shares his web hosting insights at AccuWebHosting blog. He mostly writes on the latest web hosting trends, WordPress, storage technologies, Windows and Linux hosting platforms. Happy to know Sydney is getting its very own Windows VPS. Joted down. Just need a clarity on this – The Classic VPS Opal price in the image says $7.99/mo but the blog says it starts from $19.19/mo. Is the $19.19/mo the basic plan for Sydney ? If you buy in Denver, US location, Classic VPS Opal will be $7.99/mo. paid annually or $11/mo. paid monthly. Classic VPS Opal in the Sydney, Australia region starts from $19.91/mo. paid monthly.